Flour has been a kitchen staple for centuries. Powdered food is typically easy to cook with and has a decent shelf life. The average Western diet consumes plenty of bread, pasta and pastries all of which include flour. Believe it or not, there are probably more than 50 different types of flour. That’s good news, especially for those with gluten sensitivity. Not only do flours have many different uses for cooking, but they also vary widely in nutritional value. 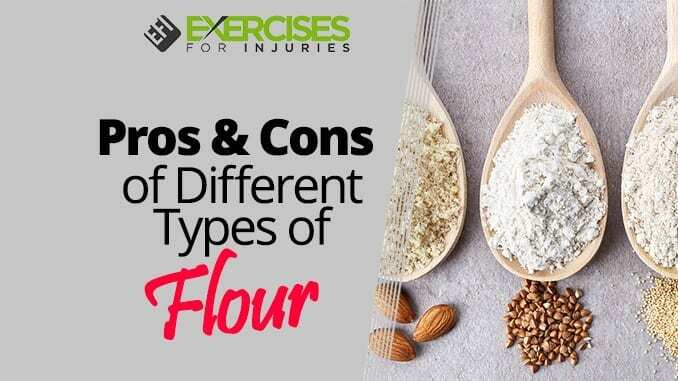 In this article, we’ll learn about different types of flour, mainly from a health perspective. We won’t be afraid to get our hands dirty with a bit of dough either. You might be surprised to learn that flours come from all kinds of plant, seed, nut and even insect sources. Bon appétit! Humans have been grinding wheat seeds since 6000 B.C., so we’ve known for quite some time how to use flour as food. The word “flour” actually comes from the word “flower” since in the old days it meant the best part of the meal. When wheat is highly processed, it loses calcium, iron, vitamins and important trace elements. Some evidence even suggests it might even increase allergy and asthma symptoms. Plus, the excess carbohydrates can lead to weight gain and insulin resistance. Before wheat flour reaches the consumer, it is set aside to age by exposure to the air. This process not only makes the flour whiter in color, but it also improves its physical characteristics for baking purposes. A chemical process, called bleaching, can mimic the aging process. Bleaching agents like benzoyl peroxide or chlorine gas, artificially accelerate the flour’s aging. Unfortunately, this may further reduce the nutritional value of the flour. Plus, a byproduct of bleaching, called alloxan, may cause diabetes. Before we continue and discover alternatives to wheat flour, it’s important to understand the concept of insulin resistance. After a meal, nutrients are absorbed into your bloodstream from your intestines which causes your blood sugar to rise. 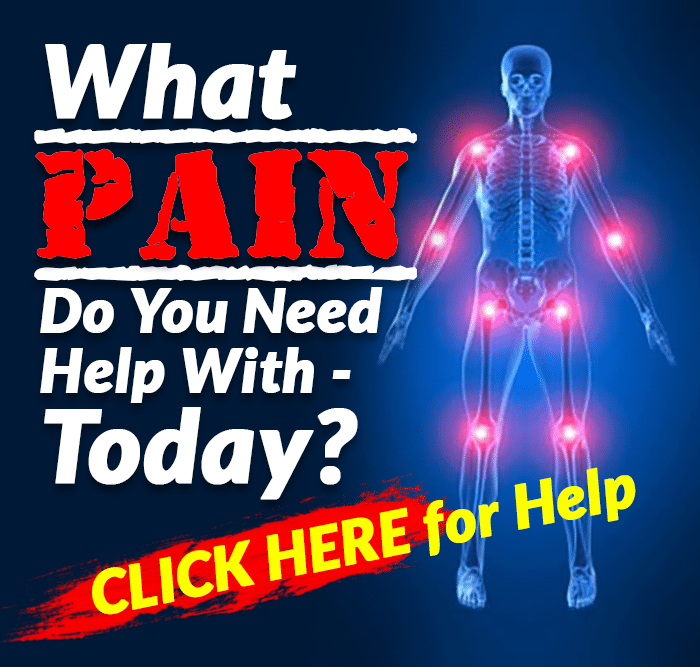 This triggers your body to release insulin which allows the blood sugar to enter your cells. If glucose doesn’t get into the cells, it’s not useful. If you have insulin resistance, something happens to your cells, and they don’t respond normally to insulin. It’s kind of like a jammed door lock. This means glucose stays in your bloodstream and does not enter your cells. If this situation gets worse, it can lead to Type 2 diabetes. As you can see, wheat flour has many potential health and nutritional issues. Additionally, those who have gluten sensitivity or celiac disease are especially prone to unpleasant gastrointestinal side effects if they ingest wheat-containing foods. Gluten is found in wheat, barley, rye and oats. The good news is that there are several nongluten types of flour available. 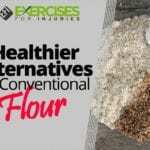 Even if you do not have gluten sensitivity or celiac disease, these alternatives are healthier than wheat flour. As an alternative to wheat-based flour, coconut flour offers many advantages. For starters, it’s a great source of saturated fats which your body uses more efficiently compared to other fats. Because it’s metabolized more slowly, coconut flour doesn’t cause a surge in blood glucose levels like white flour. Foods that are metabolized slowly are said to have a low glycemic index (GI), and a low GI helps prevent insulin resistance. Coconut flour is also rich in dietary fiber, which may help lower bad cholesterol. When cooking with coconut flour, remember that it’s very absorbent. This means 1/4 or 1/3 cup of coconut flour absorbs as much liquid as a cup of wheat flour. Also, coconut flour tends to be dry, so you may need to add more eggs to the mix for moisture. Chickpeas, also called garbanzo beans, are packed with nutrients. These little morsels are the basic ingredient in the popular Middle Eastern dip called hummus. This legume is full of fiber and also carries a favorable low glycemic index. Plus, chickpeas are rich in many elements like folate, copper, iron and zinc. 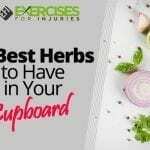 If that’s not enough, the food is also rich in antioxidants, which may help reduce the risk of illnesses such as Alzheimer’s disease and some cancers. Chickpea flour can be used to make pancakes, crackers, crepes, cakes, muffins, fritters and even onion rings. The flour tends to be dense, so if you need a lighter dough, mix in a bit of wheat flour. For those who can’t eat gluten, rice flour can also make the batter lighter. Rice flour can be of the brown or white variety. The good news is that all types of rice are gluten-free. However, brown rice is much more nutritious than white rice since the whitening process strips the rice of vitamins, minerals, fiber and iron. For those who love pasta, rice flour should find its way into your pantry. It’s especially useful for making noodles and pancakes. Rice flour is also frequently used as a soup thickener. White rice flour is easier to bake with and is the best choice for lightening other heavy flours like chickpea flour. A single ounce of almonds contains 6 grams of protein, 4 grams of fiber and significant amounts of vitamin E, magnesium, riboflavin, calcium and potassium. A rich source of antioxidants, almonds may also decrease your LDL or “bad” cholesterol levels. Even though almonds are packed with calories, studies have shown that those who snack on almonds tend to have more control over their appetite and eat less during the day. Almonds have been shown to be beneficial for your heart, skin, digestion and bones. These nuts may also help prevent diabetes and some cancers. Many nutrition experts consider almonds a superfood due to their dense nutritional value. Because the almond isn’t technically a starch, almond flour is especially attractive for those on low-carb diets. When shopping for almond flour, make sure the package states that it contains 100 percent almonds, especially if you are gluten-sensitive. You can replace almond flour for wheat flour on a one-to-one ratio, but you may need to add an egg for better consistency. When you cook with almond flour, expect a nutty taste and less fluffiness when it comes out of the oven. Buckwheat, also gluten-free, is actually a seed, not a grain. This makes it high in protein and fiber. Buckwheat is especially rich in manganese, magnesium and phosphorus. Some evidence shows that buckwheat may reduce the risk of heart disease and diabetes. Not surprisingly, this seed has a low glycemic index and is rich in antioxidants. Many vegetarians consume a lot of buckwheat since it’s a good plant source of protein. Buckwheat flour can be used to make pancakes, brownies and noodles. You can even purchase premade buckwheat noodles, called soba noodles in Japan, which are a common dish in many Asian countries. 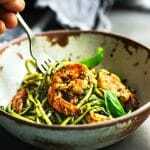 If you are seeking a protein-packed alternative flour source, then consider cricket flour. The name isn’t meant to be cute; it’s literal. Cricket flour, or cricket powder, is made up of finely ground, dried crickets. These critters are packed with protein — up to three times more protein per ounce than beef or chicken sources of protein. Even the almond takes a back seat to crickets in protein concentration. While you may cringe at the idea, consider that millions of people worldwide consume insect sources of food. Plus, if you care about sustainability, crickets are up to 20 times more efficient a protein source than cattle. Afraid it will taste bad? Well, think again, since taste tests typically show that foods containing cricket powder are considered tasty, even by Western palates. You can buy or make protein bars, smoothies and baked goods with cricket flour. Many preparations of cricket flour come premixed with other flours for easier handling and consistent baking outcomes. Again, for gluten sensitive people, read the labels carefully. Don’t get stuck into thinking that wheat flour is your only option. Have fun trying out different flour sources. You’ll be sure to find a combination that fits your nutritional goals and taste.